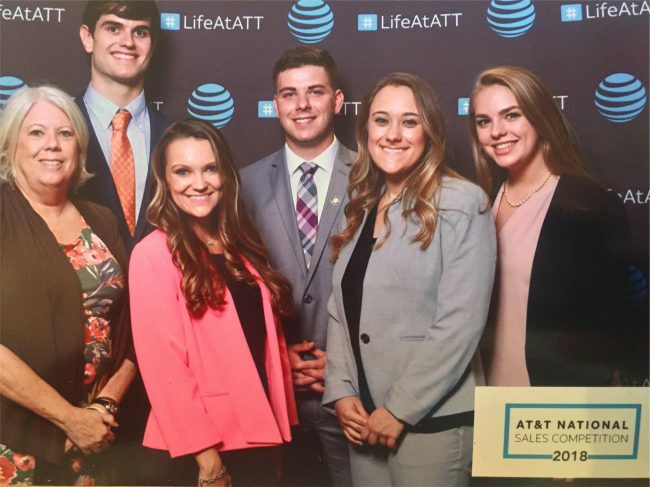 Five students on the Georgia Southern University Sales Team landed jobs with AT&T after competing at the first-ever AT&T B2B Sales Program National Sales Competition Oct. 18-20 in Dallas. College of Business students David Stulack, Catherine Reece, Layla Enayati, Madalynn Keen and Britt Lee represented the University as one of 12 teams invited to compete in the final round of the competition. Although the team did not win the competition, each team member scored a job opportunity with AT&T through a summer internship or B2B Sales Development Program. The AT&T National Sales Competition gauged students’ abilities to present AT&T business solutions that best address customer needs. The teams were given a case involving a fictional insurance company that encountered problems with their adjusters and use of information technology. The teams had to present a solution, explain how their product applied to the customer’s challenges, answer questions and close the sale. 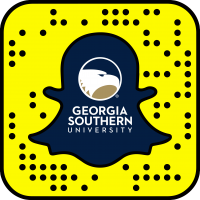 The Georgia Southern University College of Business is a Sales Education Foundation Top Sales University. 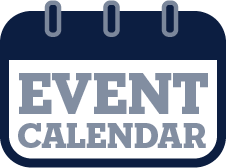 The Center for Sales Excellence was established in 2007 to support and promote our students pursuing careers in sales. The Center, located in the College of Business, gives students the opportunity to gain experience with sales role play in dedicated labs, with many of our students competing at national sales competitions. The Center also works to bring students together with companies in the industry looking to hire fresh, new talent. 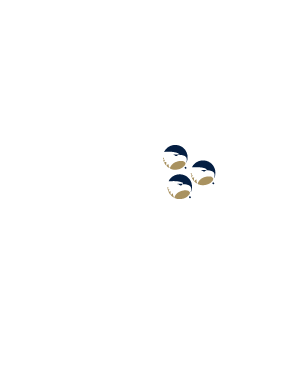 To get involved with the Center for Sales Excellence at Georgia Southern, email Linda Mullen, Ph.D., or Lindsay Larson, Ph.D., at lgmullen@georgiasouthern.edu or lindsaylarson@georgiasouthern.edu, respectively.